Celebration Time!!!! 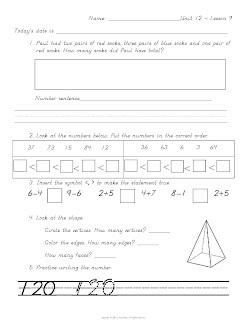 It is 11:37 p.m. and I have FINALLY finished the last of the First Grade CORE Math Packet! YEAH!! They have been a major project this year and a lot of work but I so appreciate all of your support and encouragement. I have had just an outpouring of positive comments and words of appreciation from other first grade teachers! To celebrate this very exciting event I am having a 20% off sale! The sale will last until Monday so stop by this weekend. In case you do not know about my math units, there are 16 units, 4 units per quarter. Each unit contains everything you need for 10 days of instruction. Each unit targets specific CORE standards but the units are spirally reviewed so students don't lose previously mastered concepts. 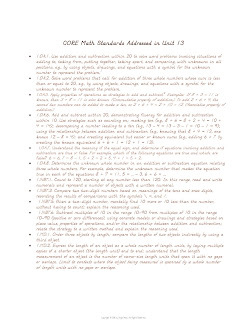 All 16 units begin with a CORE Standards page, so you know exactly which standards are being taught during the unit. 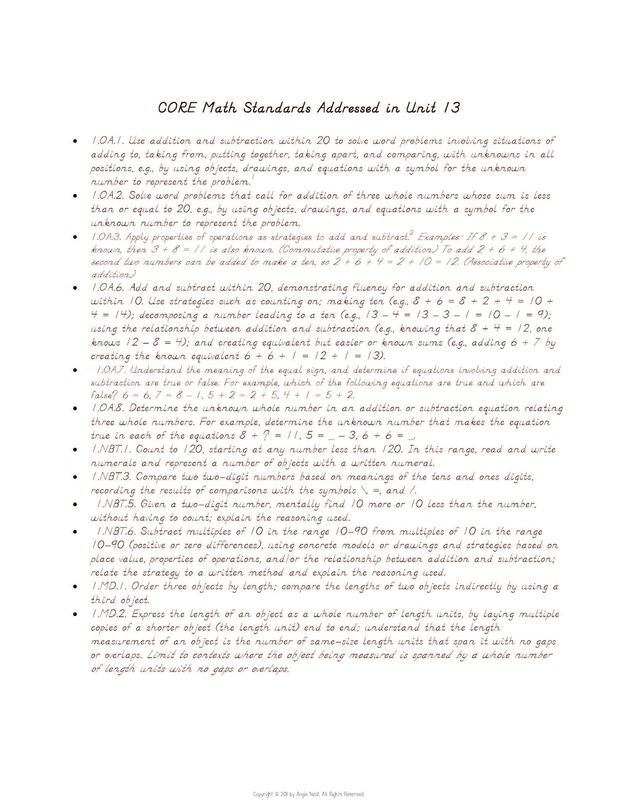 Some of the standards are new and some are review from prior units. Next, you will find a problem of the day. Students use their Math Journal to collaboratively work out the problem of the day. Then it's on to calendar time! Before creating these math units I HATED calendar! I found myself rushing through it because the kids were not engaged and it was monotonous. With students all having their own Calendar Companions they are engaged and learning and I LOVE IT! There are many versions of Calendar Helpers and Notebooks but I was not able to find anything specifically geared to the new CORE standards, so I created this. Then we move into our daily mini-lesson. These lessons usually take between 10-20 minutes and are engaging and interactive. The lessons vary, they may be games to practice previously learned concepts or lessons involving the use of manipulatives or technology to keep kids excited about math. Finally I have created a daily Guided Practice/Review Page. 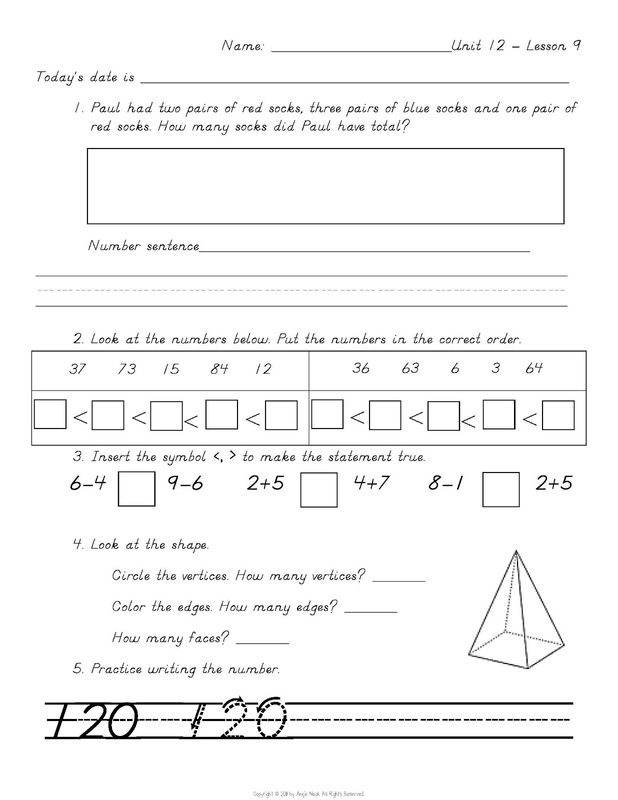 This is a worksheet to be copied back-to-back. The front page we do together and students complete the back independently. The back of the worksheet is always review and this helps students retention of concepts. 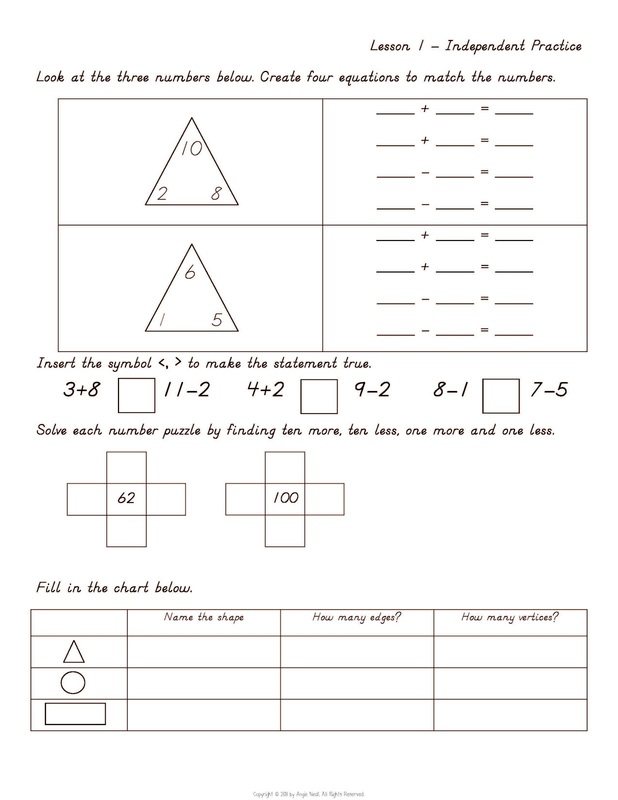 Here is a sample of a daily worksheet. Each unit has a Unit Assessment, so students are assessed every 10 days. 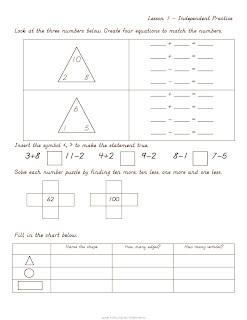 I have had several teachers ask me if I know anyone who creates these types of math units for kinder or second. GOOD NEWS! I am teaming with my former teammate and friend to begin working on these packets for kinder. I taught kinder for 7 years and my colleague has been teaching kinder for the past 14 years, together I think we can create something amazing! If you have colleagues that teach kinder and you think they may be interested, spread the word! I would love to see your calendar companior, but I couldn't find it. Is it available?